A bus owned and operated by Victory Liner, which the company said was "slow moving," fell into a cliff early Tuesday morning, March 3. The bus bound for the summer capital of the Philippines, Baguio, was ferrying 44 passengers when it plunged into a 10-meter ravine along the stretch of the Marcos highway around 4 a.m. in Tuba, Benguet. In a Twitter post, the company claimed that bus number 7044 was run off the road by a speeding truck and ended up on rough terrain. Early dawn today bus 7044 was run off the road by a speeding truck along Marcos Highway. The slow moving bus ended up on rough terrain. No one was fatally or seriously injured in the accident, Victory Liner posted, adding that they were attending to the passengers. No one was fatally or seriously injured in the Bus7044 accident in Marcos Highway. We are attending to the passengers of the bus right now. The bus liner also tweeted that all passengers with no serious injuries were already discharged from the Baguio General Hospital. Earlier reports said the management promised to shoulder the victims' medical expenses. All Passengers of Bus7044 that sustained minor injuries have all been discharged by the Baguio General Hospital. 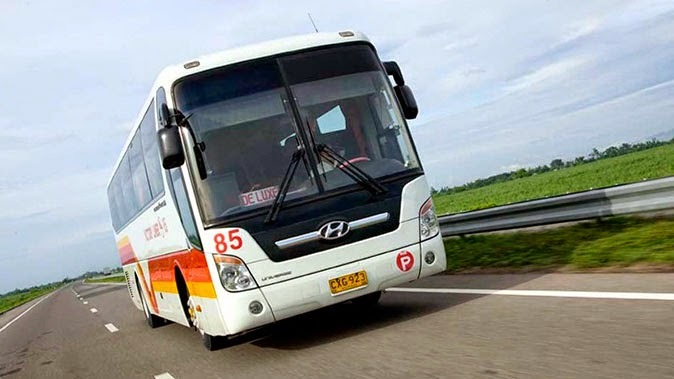 It can be recalled that Victory Liner had 16 of its buses suspended by the Land Transportation Franchising and Regulatory Board (LTFRB) in September last year.